Free online image cropper. Just drag and drop your image and it will automatically get cropped. There are no ads, popups or nonsense, just an awesome image cropper. Load an image – crop an image. Created by developers for developers. Top Position X position of cropping rectangle. Left Position Y position of a cropping rectangle. Allow recropping Unlocks the Recrop button. Pressing it will overwrite the original imported image. Image cropper tool What is a image cropper? This tool crops a rectangular area out of any image. To use it, you can either set crop position and crop size in the options or crop manually with the interactive cropping tool. If you're using the interactive cropping tool, then resize the area with markers on the border of cropping rectangle. To move the crop area, use the middle marker. Interactive area can be resized in any way and supports negative height and width, resulting in an inverse selection. Some option fields can be left empty. For top and left position they default to zero, for width and height they default to width and height of the original image. 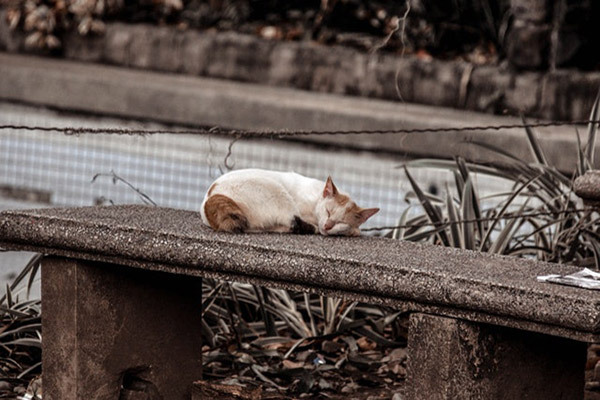 Keep in mind that if you ignore top or left position we won't know where to start cropping and these values will be automatically set to height and width of the whole image respectively. If you want to crop the image twice, use the recrop feature. If you use this feature then the original image will become the cropped one and the selection will be reset to the size of the new image. 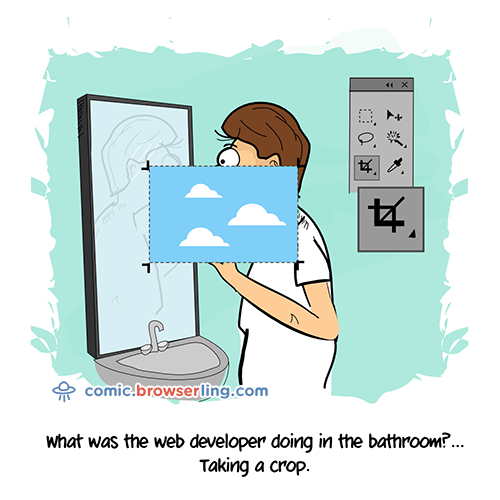 This example crops a part of Browserling's comic. The crop area is defined by a rectangle and its top, left positions, and width, height. 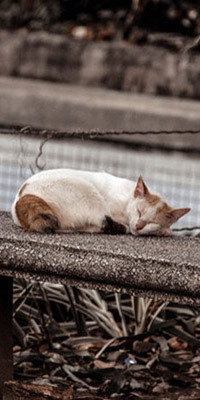 This example crops a cat out of an image. It doesn't set the height option so the cropping tool uses entire height of the image.